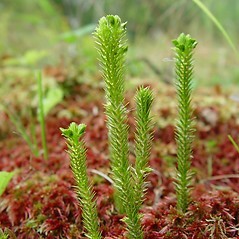 Northern firmoss has a circumboreal distribution, and is widespread in Canada, but in New England it is rare. 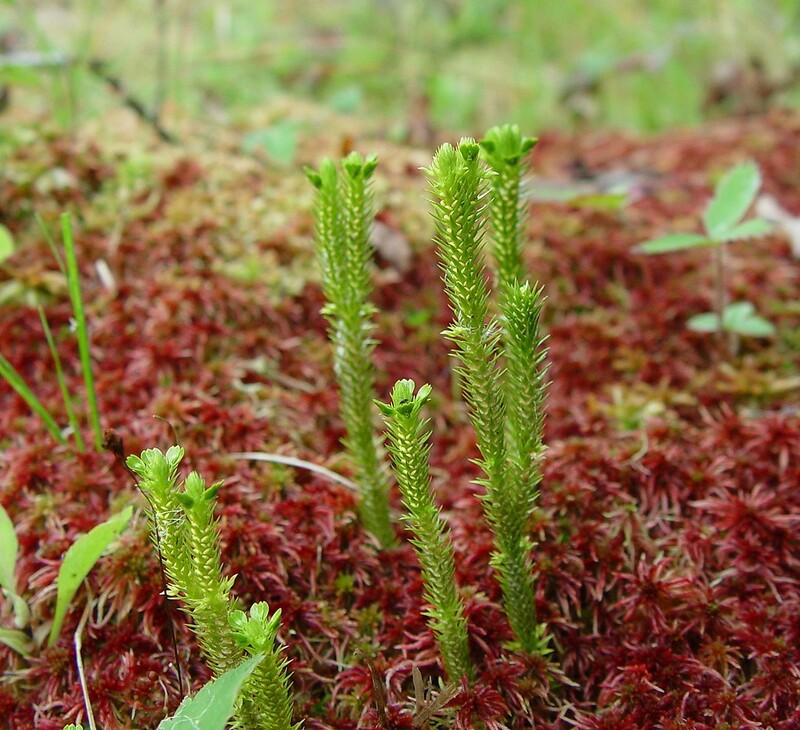 It inhabits a variety of cool boreal habitats, but does not ascend to the alpine zone in our region. 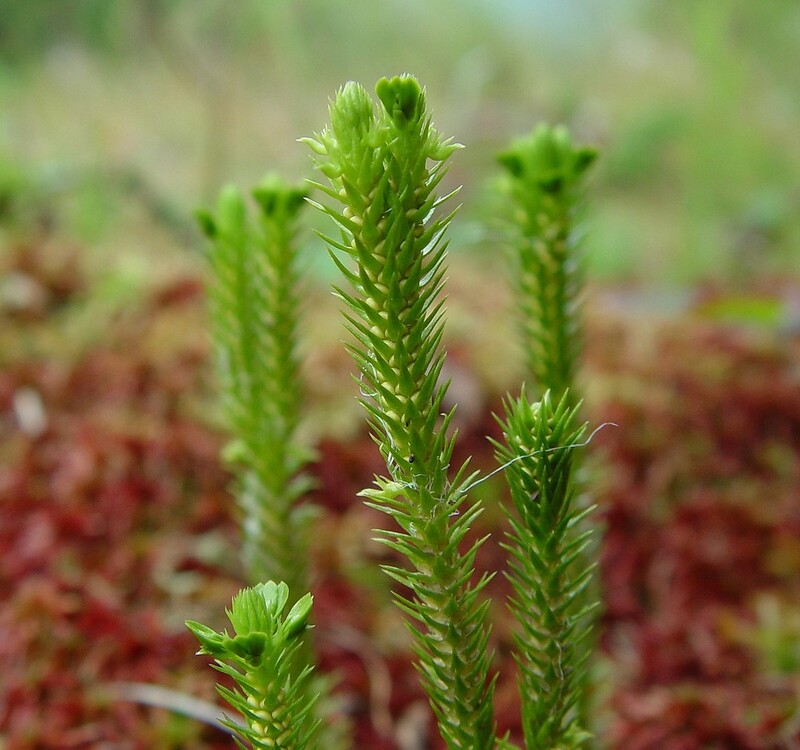 The Upper Tanana Indians used the whole plant in a poultice applied to the head for headaches. 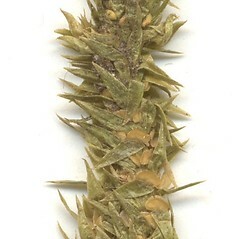 leaves oblanceolate, widest beyond the middle, with 1-8 small teeth, and shoots with evident winter bud constrictions (vs. H. selago, with leaves lanceolate to narrow-triangular, widest below the middle, entire are rarely with obscure, papilla-like teeth, and shoots with obscure winter bud constrictions). 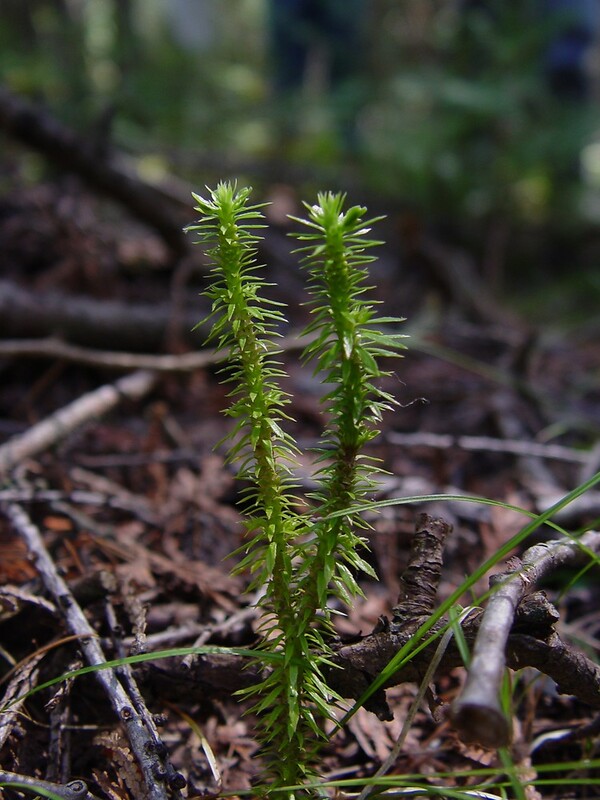 grows mainly at high elevations, such as mountain tops, alpine plateaus, and cliff faces, and has multiple whorls of gemmiferous branches each year (vs. H. selago, which grows mainly at low elevations, such as pond shores, boggy openings, and ditches, and has 1 whorl of branches with gemmae at the summit of each year of growth). 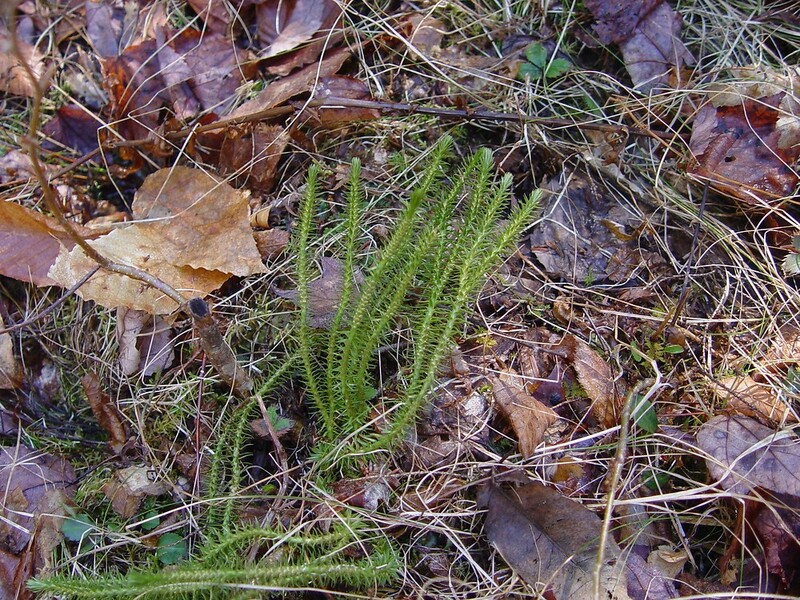 Lycopodium selago L. var. 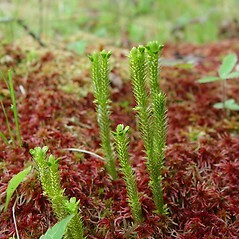 patens (Beauv.) Desv. 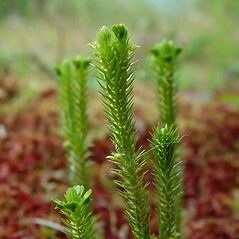 northern firmoss. 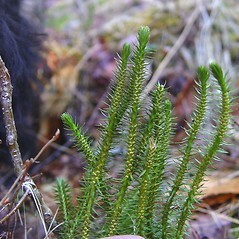 Lycopodium selago L.; L. selago L. var. 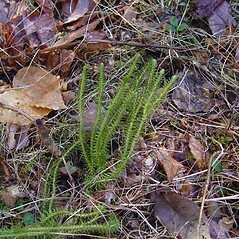 patens (Beauv.) Desv. 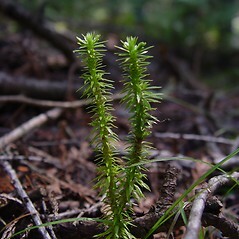 ; Plananthus selago (L.) Beauv. 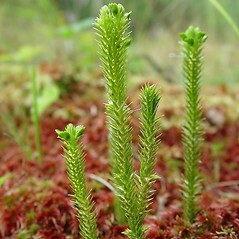 ; Urostachys selago (L.) Herter • CT, MA, ME, NH, VT; northern and colder counties. Hydric habitats in ± boreal regions, such as in ditches and low fields, also on lake shores and less commonly in forests, at cliff bases, and in mountain gullies. 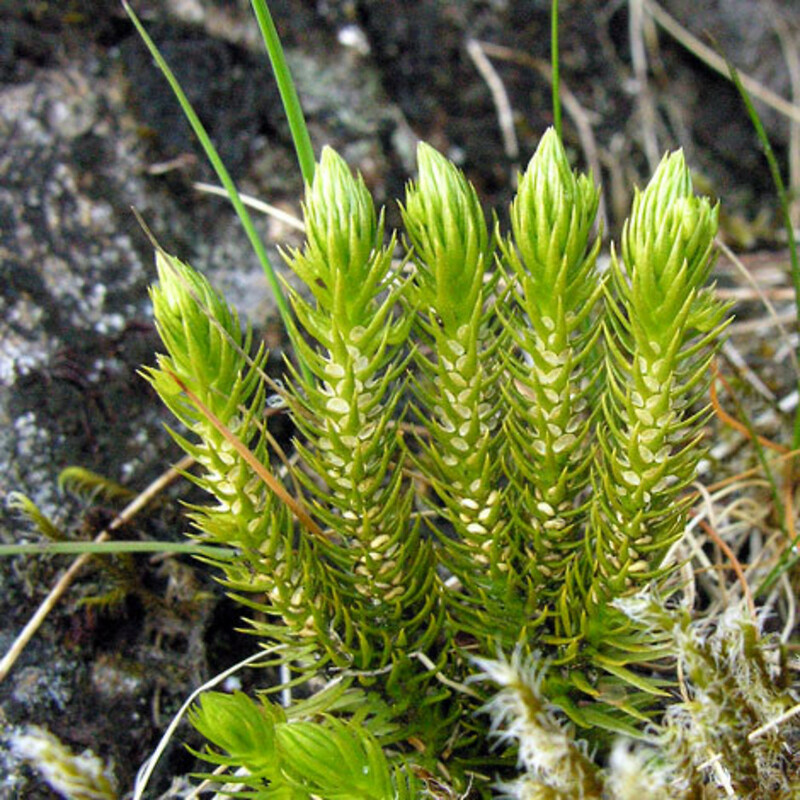 This species is commonly reported from alpine habitats, but those reports are based on H. appressa and hybrids with that species. 1×3. 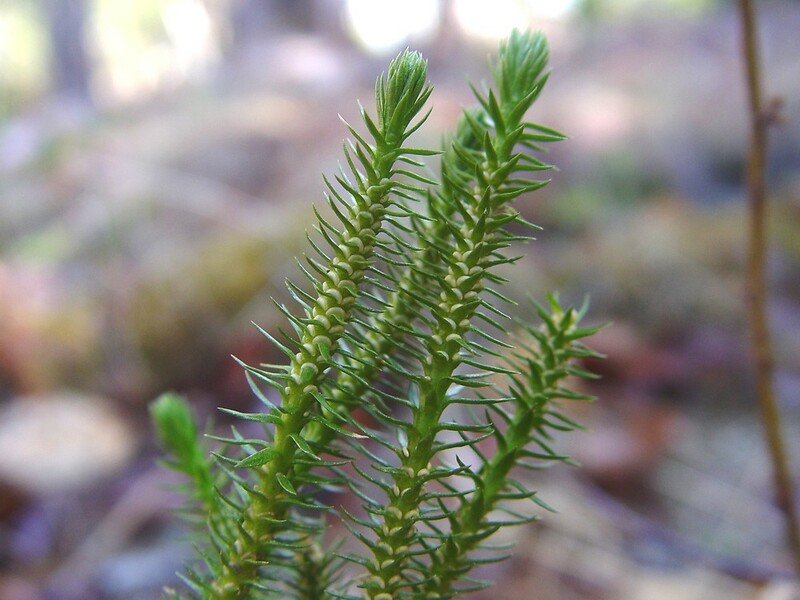 Huperzia appressa × Huperzia selago → Huperzia ×‌josephbeitelii A. Haines is the most common firmoss hybrid in New England and is known from ME, NH. 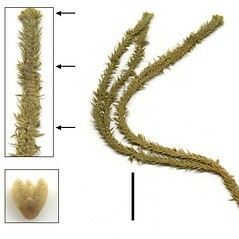 It is found primarily above treeline in alpine areas. 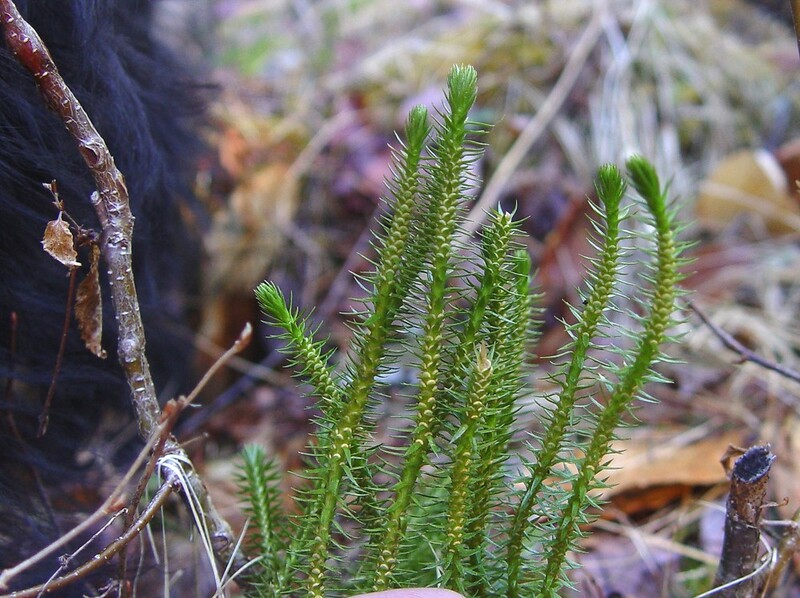 Like other Huperzia hybrids, this nothospecies has polymorphic (i.e., abortive) spores. 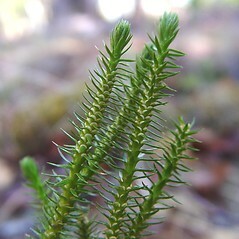 The plants are similar to shade forms of H. appressa but are more stocky (i.e., shoots 7–10 mm wide inclusive of trophophylls vs. 3–7 mm) and have larger gemmae (the lateral leaves 1–1.5 mm wide vs. 0.5–1.1 (–1.2) mm). 2×3. 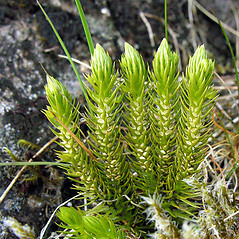 Huperzia lucidula × Huperzia selago → Huperzia ×‌buttersii (Abbe) Kartesz & Ghandi is a rare firmoss hybrid known from ME, NH, VT. 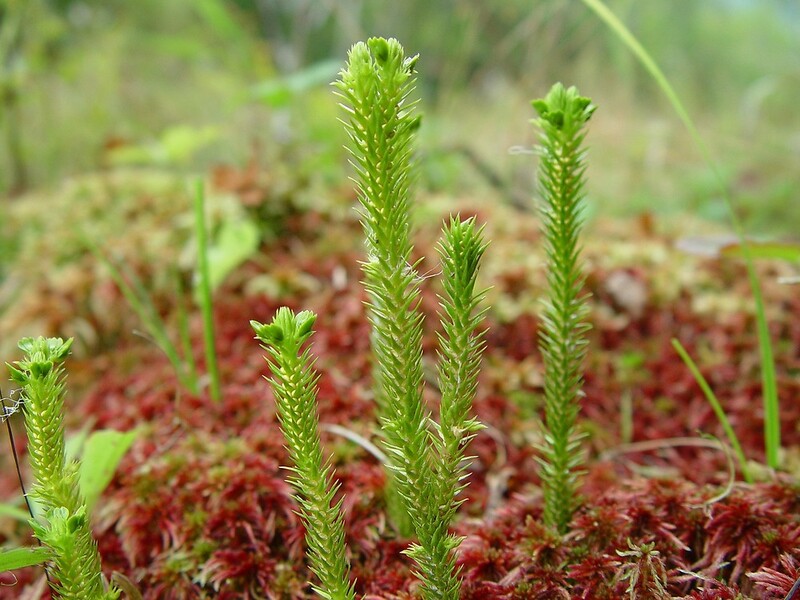 It usually occurs in hydric and/or coniferous forests. 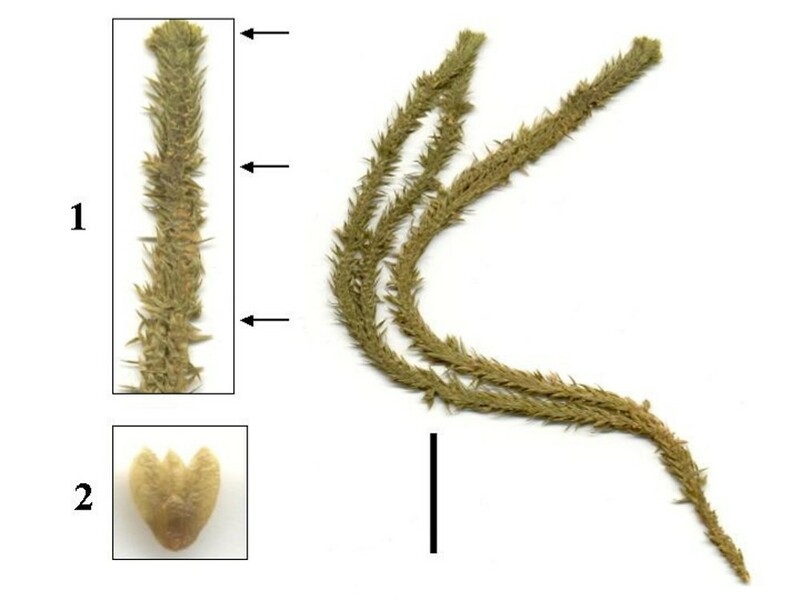 It somewhat resembles small forms of H. lucidula but has trophophylls with ± parallel margins, obscure, papilla-like teeth, and a few stomates (i.e., fewer than 30 per ½ adaxial leaf surface.